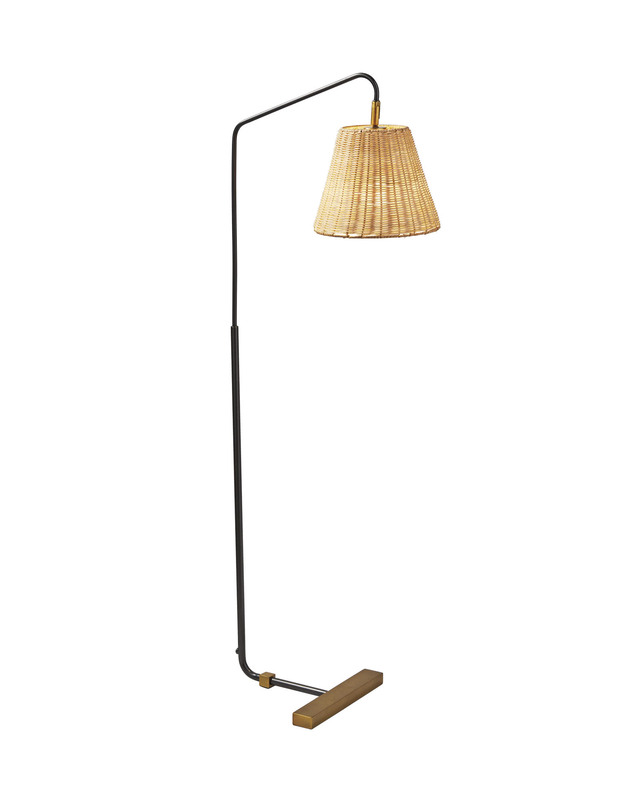 Flynn Floor LampFlynn Floor Lamp, Wicker alt="Flynn Floor Lamp, Wicker"
Print Slim, sleek and simple – our low-profile design was inspired by vintage pharmacy lighting. 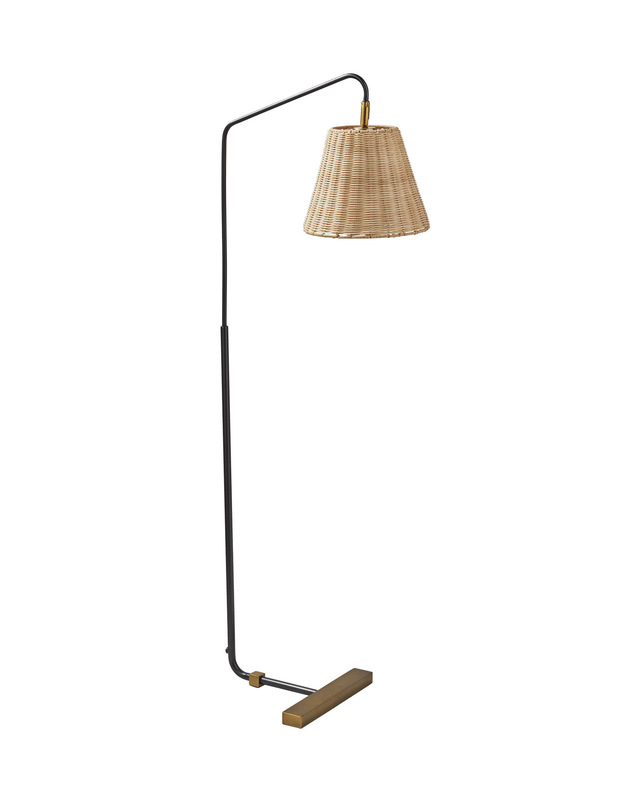 Topped with a wicker shade, the arm turns so you can point the light exactly where you want it. Finished in hand-rubbed bronze, the solid brass backplate adds that extra detail we covet. Matte black iron with a hand-rubbed antique brass base. Wicker shade is made of rattan. Uses one 60W max bulb. 11"W x 16.5"D x 49.5"H overall. Wicker Shade: 9”DIAM x 8”H.